With the majority of US states now opting for the proposed First Responder Network Authority (FirstNet) deployment plan, CommScope is set to introduce a family of state-of-the-art base station antennas that support the full range of FirstNet site configurations. The CommScope FirstNet portfolio includes 4x MIMO technology for low and high bands, in single and dual antenna configurations, with multiple port counts and antenna lengths. Band 14 is the slice of licensed spectrum in the 700 MHz frequency band that will be used for FirstNet. CommScope’s FirstNet antenna portfolio includes several models that support Band 14. 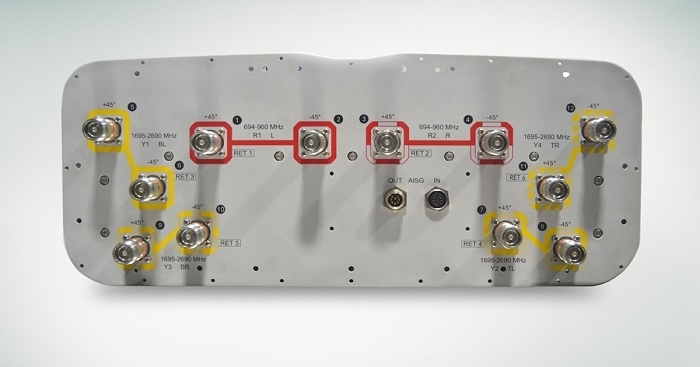 These antennas enable 4x MIMO capability, the advanced transmission technique that essentially creates four streams of wireless signals to greatly increase data rates, in the FirstNet band. CommScope’s FirstNet antennas support from 6 to 12 ports in four, six or eight foot models. Learn more about CommScope's FirstNet portfolio.